Bright and spacious, one bedroom apartment to high the HIGHLY DESIRABLE location of Bessacarr, just off Bawtry Road. 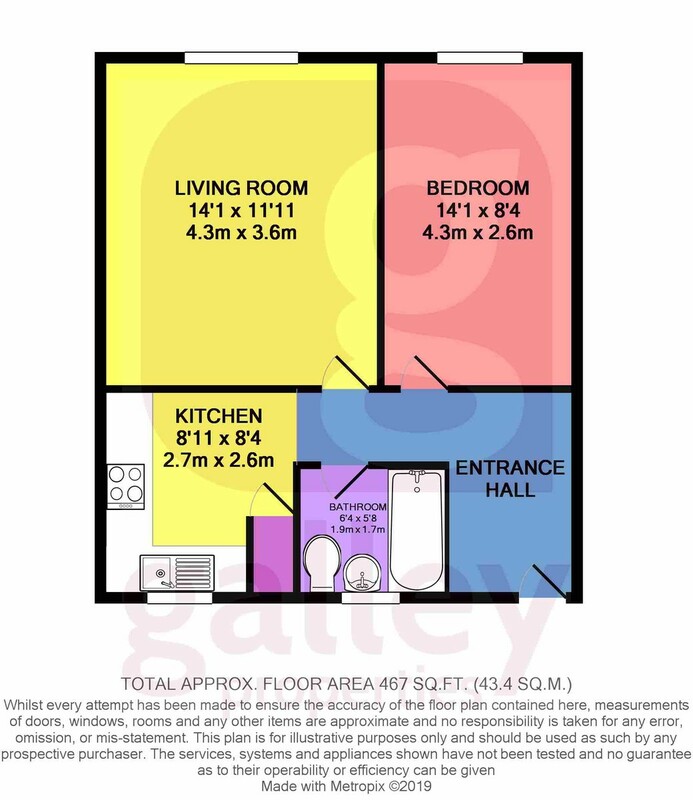 The property benefits from a large entrance hallway with laminate flooring, good size living room, double bedroom Modern Kitchen and Bathroom with Shower over the bath. With good views on offer the property also has ample parking on a first come basis. Ideally situated close large supermarkets, restaurants, shopping complex and a gym. The sought after area of Bessacarr offers everything you could need only moments away. The accessible motorway links to the A1 and the M18, transport to the bus interchange and train station makes this a brilliant home for professionals and commuters. Ideal for a working couple or single professional. This property won’t be available for long. Call our office now on 01302 570470 to arrange a Viewing.